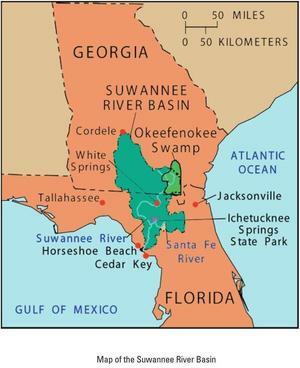 Yet another map, this one from the Suwannee River Basin and Estuary Integrated Science Workshop, USGS, 22-24 September 2004, Cedar Key, Florida, Compiled by Brian Katz and Ellen Raabe. Here are the slides from that workshop. 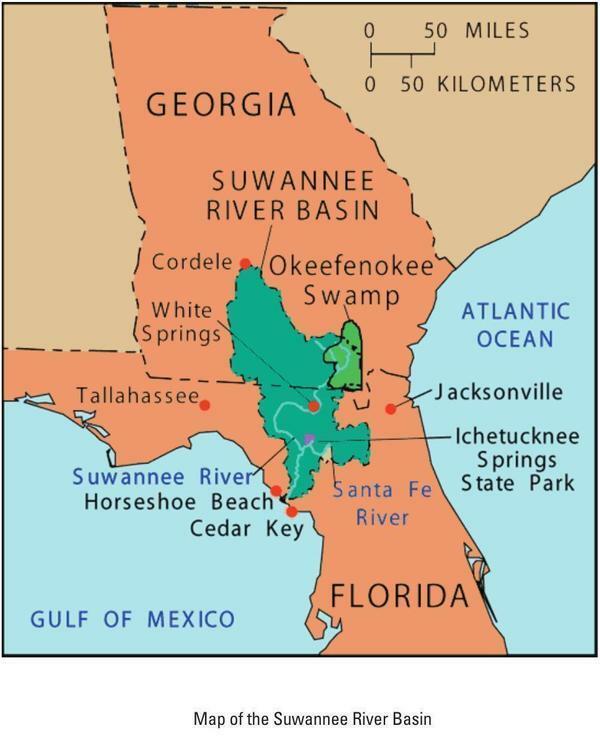 This map is a bit odd in that it does not show the biggest city in the entire Suwannee River Basin. However, it shows nearby larger cities. I never really realized Jacksonville is closer than Tallahassee to most of the Basin. For more maps, see the WWALS Suwannee River Basin web page. This entry was posted in Maps, River and tagged basin, conservation, Estuary, north Florida, river, south Georgia, Suwannee River, watershed, WWALS, WWALS Watershed Coalition on June 10, 2016 by jsq.